Have you ever started cooking a delicious meal only to find that your garlic powder or onion powder has turned as hard as a rock? Well, I have. I spent the last 15 minutes hunched over the table with a butter knife in hand chiseling the hardened spice lumps back into powder. The funny thing is, this happens EVERY summer. The humidity causes the spices to clump together. 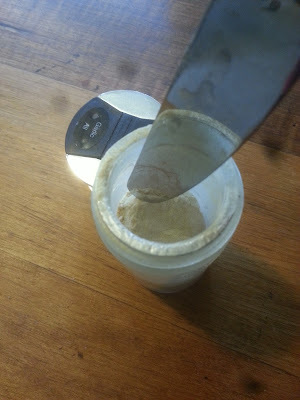 So, unlike brown sugar where a lack of moisture causes it to turn hard, the opposite is true for powdered spices. The logical solution then is to keep the moisture away to prevent powdered spices from going hard in the first place. 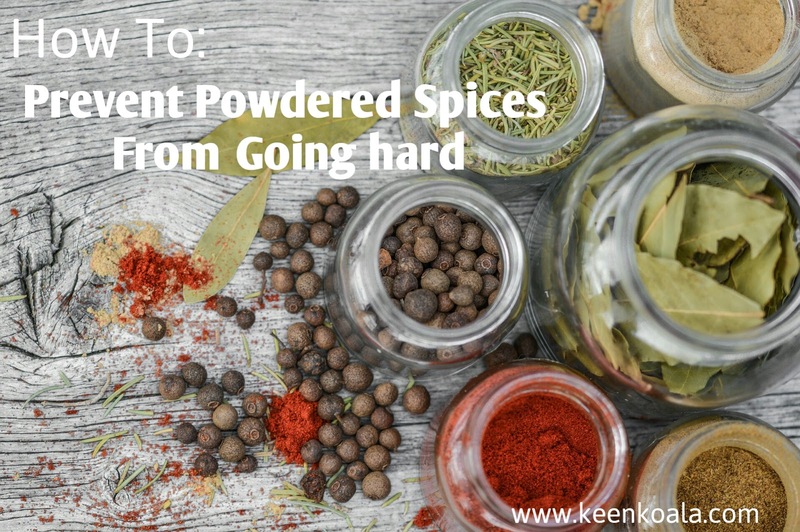 So, once you have pulverized your spices back into powder, please read on to find out how to make sure that it never happens again. There are several different ways to do this. One of the most obvious ways is to avoid shaking spices into a steaming pot while it's simmering on the stove. This doesn't work for me, as I enjoy to season while I'm cooking. Plus, the humidity in my house would cause it to harden again regardless. The best way then is to pull the moisture out of the air around the spices. This can be done by either adding 1 teaspoon of rice or lentils to your spice jar to absorb some of the moisture. I find that this method works best when accompanied by vigorously shaking the spice bottle after each use, to keep everything flowing freely. This method works fairly well, but sometimes a few grains of rice fall into whatever I am seasoning, but that's okay. Another solution is to use a left over silica gel packet from an old medicine bottle or a package of beef jerky. This is the easiest solution. Just drop the packet into your spice shaker and replace the shaker top. 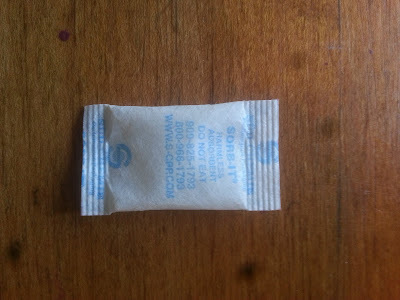 Silica gel is a desiccant, which means that it pulls moisture out of the environment around it. So, it will keep your spices nice and dry! And remember, always keep your spice lids closed between uses, to prevent moisture in the air from sneaking in! I hope you found this helpful! Happy cooking and may your spices flow freely!